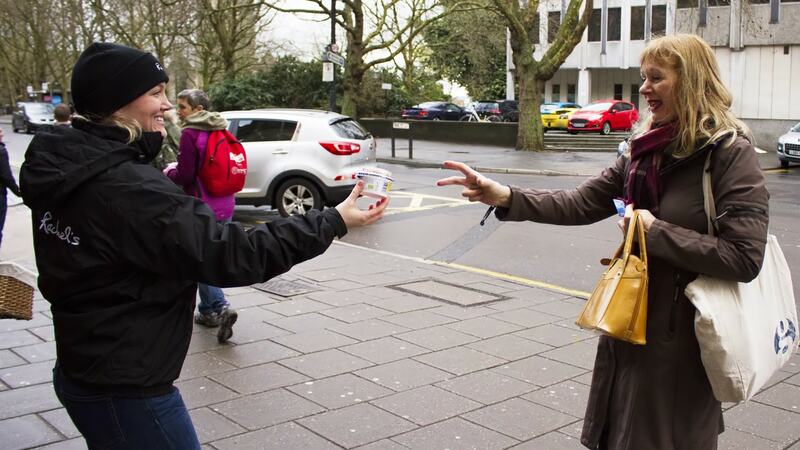 The objective of this activity was to support the launch of Rachel’s Breakfast Pots into Tesco Express and Metro stores nationwide, raising awareness of the brand and product by distributing full sized samples in high footfall, city centre locations, allowing consumers to trial the product whilst handing out money off coupons to drive footfall to nearby Tesco stores and encourage future purchase. Utilising our refrigerated sampling bikes we put together a national roadshow with a chilled logistics solution, visiting cities up and down the country including Birmingham, Liverpool, Bristol, Cardiff, Leeds, Nottingham and London. Our event manager along with two brand ambassadors distributed 2,000 samples each day to commuters in the cities, positioning themselves in close proximity to the target stores.